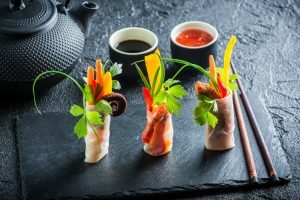 To enable resident Asians and other fans of authentic Asian food to buy their favourites in Europe, Heuschen & Schrouff has selected the most popular brands within all Asian food categories. Apart from the addition of European translations, the packaging keeps its original appearance. Our complete range of A-brands consists of more than 3000 dry goods, frozen and fresh products from 12 Asian countries. Depending on your wishes, we can create a tailor-made selection for you. Like all our products, our range of authentic Asian brands complies with the strict regulation of the European Union.